oatmeal lace design: handmade holiday scavenger hunt!!! 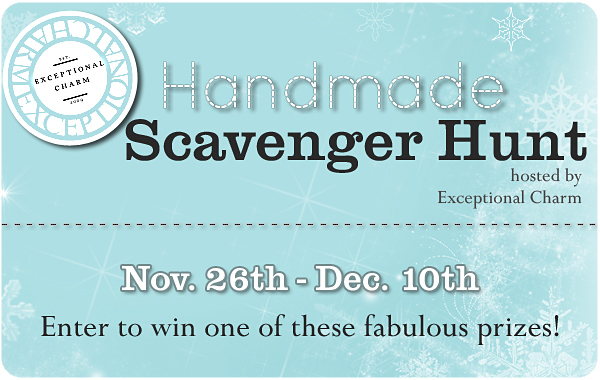 I'm so excited to participate in this holiday scavenger hunt organized by the lovely Jacquelyn over at Exceptional Charm. Go to her site for details here and enter to win one of 7 great prizes from some amazing vendors on Etsy. I'll be giving away a $25 gift certificate towards anything in the shop. Good luck and have fun!